Analysis: Top stories of 2014 in Wyandotte County – Welcome to Wyandotte Daily! What were the top stories of 2014? Here are a few “trend” stories that topped the list of stories that reflected life in Wyandotte County during 2014. They are not ranked 1 through 10, but instead they are all important trends that were seen this year. 2014 saw the promise of extensive economic development throughout Wyandotte County. While not particularly a year for a great deal of building activity here, it was a year when important announcements were made about future projects. The announcement of a major national development, the U.S. Men’s Soccer training facility, was made for an area near I-435 and Parallel Parkway, at the Schlitterbahn property. That area also saw national attention when Schlitterbahn opened the world’s tallest water slide this year. Nearby, plans were announced to expand the auto mall on Parallel Parkway near I-435 to include several auto dealerships, as well as a discussion to build a convention center or events center in the Village West area, possibly near Hollywood Casino. As the west side continued its expansion, community leaders tried to address a long-time feeling on the part of residents of the east side that they were being left out of economic development, a feeling that for years continued to drive a wedge between the different parts of the community. Several meetings were held under the leadership of Mayor Mark Holland to develop a Downtown KCK Healthy Campus plan, now called the Downtown Central Parkway Plan, which includes a grocery store and a community center near Big 11 Lake in the general area of 11th and State Avenue. The project reached the point where it became a redevelopment master plan this year. Besides a community center, one of the major points of the redevelopment is a grocery store downtown. One of the other “food desert” areas of Wyandotte County was changed with redevelopment in the Argentine area. During 2014, under the leadership of Commissioner Ann Murguia, the Argentine area saw a new Walmart Neighborhood Market open, which carried groceries. The area also had another new grocery store there, a Save-a-Lot. The Walmart redevelopment took place on the site of a remediated Superfund site, the former Structural Steel property. 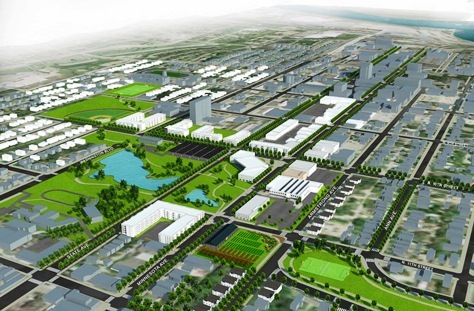 Besides downtown and Argentine, redevelopment projects took place during 2014 at the Fairfax levee area for commercial and industrial projects, at new elementary schools for the Turner and Kansas City, Kan., districts, and at Wyandotte Plaza at 78th and State Avenue. The Wyandotte Plaza redevelopment included a new Price Chopper grocery store to replace an existing one; stores that will be added there in the future include Marshall’s and PetSmart. It was at the Wyandotte Plaza and State Avenue corridor redevelopment celebration in December that a developer with RED Legacy, Dave Claflin, who was in on the original Legends development, advanced the “trickle-back” theory of economic development in Wyandotte County, linking current redevelopment throughout the county to the efforts to build The Legends a decade ago. It will take 2015 to determine whether the residents accept the trickle down theory in Wyandotte County. Also during 2014, there was a renewed emphasis on increasing diversity among public safety employees in Kansas City, Kan., and reaching out to the minority community in the wake of the Ferguson, Mo., incident. The mayor started an effort to increase diversity after seeing a Fire Department recruit class graduation in February. The mayor’s task force drew more interest after a summer of protests in Ferguson, Mo., over the shooting of a young black man by a white police officer. 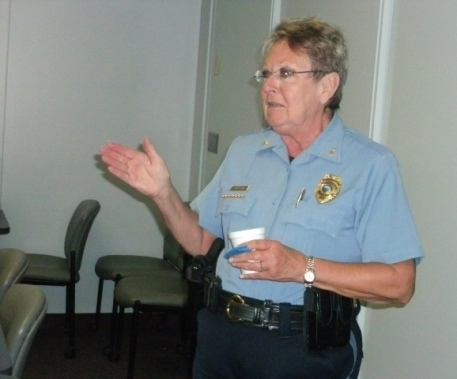 The Kansas City, Kan., Police Department under the leadership of Interim Chief Ellen Hanson, made a huge outreach effort, speaking across the community to many groups in order to increase communication and improve police relationships with the community. In December, the Police Department announced plans to emphasize courteousness, as well as to start a survey and feedback process with the public. At the same time as these efforts were being made to increase diversity, community activists here were working on other issues, such as trying to fill the vacant Unified Government Commission, 1st District, at large seat. Another vote to fill the seat ended without gaining the necessary majority. A court challenge to require the UG to fill the seat, open for more than a year, failed, and then a legislator from Wyandotte County, Sen. David Haley, drafted legislation to be introduced that would outline steps that could be taken to fill vacant commission seats. Another topic being addressed by community activists was that of the mayoral election process and changing a UG rule that did not allow commissioners from certain districts to “fall back” into a commission seat if they ran for mayor. The situation was illustrated when Commissioner Nathan Barnes of the 1st District ran for mayor, and had to give up his commission seat to do so. In the same election, Commissioner Ann Murguia ran for mayor, but being from the 3rd District, she was able to continue in her commission position. Activists argued this year that because the 1st District is always up for election at the same time as the mayor, never rotating, it was a rule that was not fair to the predominantly minority 1st District. Sadly, 2014 also was the year that a white supremacist from Aurora, Mo., was charged with capital murder in the April shooting of three persons in the parking lot of the Jewish Community Center in nearby Overland Park, Kan. While not involving Wyandotte County, the event sent shock waves through the metropolitan area. The fall election saw low voter turnout in the urban areas of Wyandotte County, as compared to high voter turnout in the rest of Kansas. The airwaves were bombarded with negative political ads from out of state, so it was hard not to know that an election was taking place. Observers told the Wyandotte Daily News that the determining voters in the statewide races in this election were moderate Republican swing voters in neighboring Johnson County. Voter apathy in Wyandotte County has been the topic of discussion, with theories ranging from a lack of contested positions in eastern Wyandotte County to get voters interested, to disillusionment or disgust on the part of voters with the national political scene. A nationwide economic recovery continued in 2014. In Wyandotte County, one of the areas showing promise was in building permits. New single-family housing was showing a 20 percent increase over the previous year, according to building permit data. Commercial building permits were showing a 245 percent increase over the previous year in Wyandotte County. Despite the improving economic picture, there was indication of segments that had not yet improved. Wyandotte County experienced the phenomenon of thousands of people lining up for free food distribution during 2014. While improving a few percentage points, the unemployment rate here continued to top the state’s list. The largest construction project listed this year in Wyandotte County was a public one, the U.S. 69 Missouri River Bridge replacement, estimated at $72 million. That was followed by the new Oak Grove Elementary School on Oak Grove Road in the Turner district, at $13.8 million; a new 120-unit assisted living building at 2300 N. 113th at $13.8 million; a new $10 million Residence Inn hotel at 1877 Village West Parkway; and St. Margaret’s Lofts senior apartments at 759 Vermont, a $10 million project, according to UG documents on construction permits. If you have a comment on the top stories of the year that you would like to share with our readers, email it to news@wyandottepublishing.com. Be sure to include your name and contact information.